This paper explores the implications of extended and distributed cognition theory for our notions of personal identity. On an extended and distributed approach to cognition, external information is under certain conditions constitutive of memory. On a narrative approach to personal identity, autobiographical memory is constitutive of our diachronic self. In this paper, I bring these two approaches together and argue that external information can be constitutive of one’s autobiographical memory and thus also of one’s diachronic self. To develop this claim, I draw on recent empirical work in human-computer interaction, looking at lifelogging technologies in both healthcare and everyday contexts. I argue that personal identity can neither be reduced to psychological structures instantiated by the brain nor by biological structures instantiated by the organism, but should be seen as an environmentally-distributed and relational construct. In other words, the complex web of cognitive relations we develop and maintain with other people and technological artifacts partly determines our self. 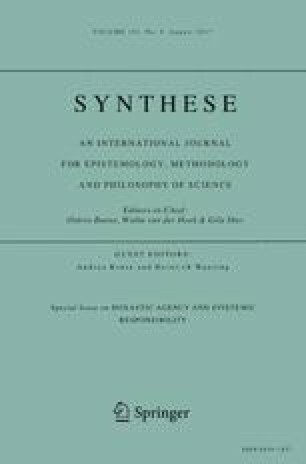 This view has conceptual, methodological, and normative implications: we should broaden our concepts of the self as to include social and artifactual structures, focus on external memory systems in the (empirical) study of personal identity, and not interfere with people’s distributed minds and selves. I would like to thank Neil Levy for helpful advice, Paul Smart and Robert Clowes for discussion on embodiment and the self, and two anonymous reviewers for their helpful comments and suggestions. Heersmink, R. (2015). Extended mind and cognitive enhancement: Moral aspects of cognitive artifacts. Phenomenology and the Cognitive Sciences. doi: 10.1007/s11097-015-9448-5.